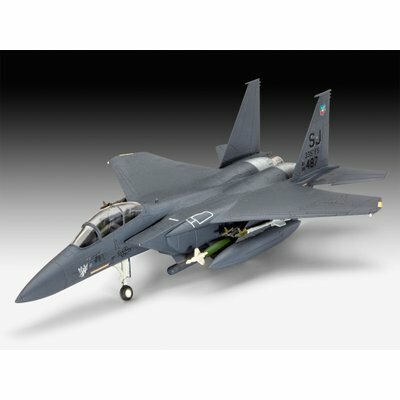 The F-15E is probably the most powerful air superiority fighter within the USAF and reaches a maximum speed of Mach 2.5 at high altitude. The two-seater is used for air-to-ground attack as well as in the interceptor role including night and all-weather missions. With an 11 ton weapon load it is capable carrying a wide range of weapons including amongst others laser-guided bombs of the Paveway and JDAM series. Safety Information: WARNING! For children over 8 years of age only! For use under adult supervision.